As Australian families prepare for the holidays to come to an end, new research* into attitudes towards money and financial education, reveals that 43 per cent of parents believe their children don't learn enough about money at school. Spriggy, a financial education app, commissioned the national survey of parents with kids between the ages of 8-17 years, and found that more than a third (39 per cent) of those surveyed are 'worried' about their children's understanding of digital money, with Queenslanders the most concerned. Despite this, three quarters (78 per cent) of Aussie mums and dads continue to provide pocket money using physical cash. Spriggy's research reveals that Australians are still firm believers in pocket money in its traditional form, with two thirds (63 per cent) of parents believing it should be earned, using cash as a reward for completing chores around the home. Nearly half (45 per cent) say that pocket money is a 'given', and they provide an allowance for their kids to spend 'how they like'. Over half (56 per cent) of mums and dads are providing their children with pocket money on a weekly basis, with 42 per cent handing out $5-$10 per week, equating to up to $520 a year per child, and one in five (21 per cent) dishing out up to $1,040 per year, with weekly installments of $11-20. Despite the fact we are moving towards an increasingly cashless economy, the majority of parents (78 per cent) continue to provide pocket money in cash form, with many viewing it as an inconvenience. In fact, 20 per cent of parents say they rarely withdraw cash for themselves, predominantly using the ATM for pocket money purposes, with 11 per cent admitting that they have been unable to give their children money before, simply because they didn't have any cash on them. More than half (53 per cent) of parents surveyed use pocket money primarily as an education tool, with 46 per cent believing their child still has a lot to learn about the concept of money. Mario Hasanakos, Spriggy's Co-founder said, "When it comes to learning about money, real world practice is critical. In today's increasingly cashless world there is a disconnect in the way we are handling money as adults, and the way we teach our children about spending and saving. To get our kids ready for the future, we must teach pocket money lessons in a relevant way." A quarter (24 per cent) of Aussie parents admit their children spend their pocket money within a week or less of receiving it, and a quarter (24 per cent) reveal that their children have 'lost' physical cash before. This might not be helped by having a supply of dollars at their fingertips, with a third (29 per cent) of parents surveyed revealing their children still store their savings in a traditional piggy bank. Aussie kids are inherently interested in the concept of money, with over a quarter (28 per cent) of mums and dads saying their children have always been curious about money from a young age. 13 per cent of parents even say their thrifty kids have secretly saved up their lunch money behind their back, to buy something they really wanted. Despite this, 14 per cent of parents believe their children don't understand where their pocket money comes from, and 15 per cent say their children think that the money that comes out from an ATM is 'free money'. When it comes to educating their children about money, Australian parents are learning from their own financial education experiences, with a quarter (28 per cent) admitting that they were never taught about how to manage money as a child, therefore wanting to give their child a better financial start than they had. What's more, almost a third (29 per cent) of Aussie parents admit to being in financial debt previously, and want to prevent their child from experiencing the stress associated with debt. Others want their children to learn from their mistakes, with 16 per cent of parents believing they aren't very good with money, hoping their child makes better financial decisions than they have. 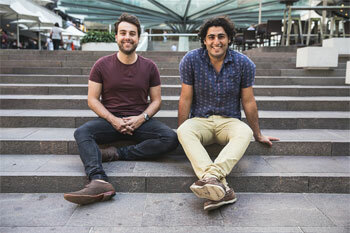 Mario Hasanakos, Spriggy's Co-founder said, "It's great to see that Australian parents are actively seeking to raise their kids' financial skills. When it comes to financial education, the best way to learn is by 'doing'. We need to empower our kids early, and communicate with them openly and often about money." When asked what age children 'should' start using money in the real world, 19 per cent of parents believe this should start from the age of five, and 23 per cent suggest over seven years is an appropriate age. Nearly two thirds (63 per cent) of parents want their children to be successful financially, while almost half (47 per cent) just want them to have enough money to be 'happy and healthy'. Parents are aware that technology should be utilised as a tool, with a third (33 per cent) believing that technology makes it easier for them to teach their children about money. "There are plenty of tools and apps out there now that can remove the uncertainty of teaching kids to manage their money in the new cashless economy. With apps like Spriggy, parents have total oversight of their children's money, allowing families to cement concepts of earning, spending and saving together, in a safe environment,"
Hasanakos added, "The majority of today's payments are made electronically and this is only set to grow. If we aren't teaching our kids about the type of money they are going to use, what are we doing? When it comes to money, technology is a tool that can help overcome the practical, safety and educational problems they face every day with their kids. At Spriggy, we believe that kids should be getting real world experience with money as young as possible, with guidance from their parents, in order to set them up for the best possible financial future." Mario Hasanakos: Spriggy is an independent technology and education brand, helping families teach their children about money in today's digital age. According to research, children's financial habits begin to be formed as early as age 7. Spriggy's app and prepaid card are available for children as young as eight years old to use with their parents. As the world becomes increasingly cashless, teaching children about money is more complex than ever. Spriggy aims to solve this problem, helping parents teach their children about concepts of earning, saving and responsible spending in a relevant and digital way. Question: What inspired the creation of Spriggy? Mario Hasanakos: Alex (the other Spriggy co-founder) and I have backgrounds in banking and education, and came together over the idea that financial institutions should be doing more to help their customers live happier financial lives. When we started Spriggy, there was so much talk about Australia moving to a cashless society, but little was being done to help tomorrow's generation prepare for that future. We came up with Spriggy as a way of helping mums and dads better prepare their kids so that they could live healthier, more confident financial lives. Question: How does Spriggy work? Mario Hasanakos: Parents can sign their kids up for a Spriggy membership online in a matter of minutes, draw funds from any bank account to add to the prepaid card and set up automated pocket money payments. The app allows parents to manage multiple cards at once, view transactions in real time. and lock and unlock cards instantly at their discretion. Kids can set their own savings goals and view their transactions on the app, setting up separate accounts for spending and saving. The Spriggy prepaid card can be used online or in-store, anywhere that accepts Visa. Question: How does Spriggy teach kids about money? Mario Hasanakos: In today's increasingly cashless world, it's more important than ever for Aussie kids to learn about the concept of digital money. Cash does still have a place when it comes to financial literacy, but with research from the RBA showing the decline of cash payments from 69% in 2007 to 37% in 2016, kids really need to learn how to manage their money online. Spriggy helps parents teach their children about the concept of digital money by allowing them to set savings goals together on the app, and track any money that is spent. This opens up the conversation about money, and encourages parents to chat with their kids about. Question: Why is a parents role to teach their kids about money and not a schools? Mario Hasanakos: We believe the responsibility should be shared. There is certainly a place for learning about basic concepts of money at school, but when it comes to actually understanding how to save money and operate with digital money, kids really learn by doing. This is where parents come in. They need to take the theory taught in schools and put it into practice at home. We've had consistent feedback from our users that Spriggy has really helped families teach children about concepts of earning, saving and spending in the real world, in a way that they can't necessarily learn at school. Question: What types of information and advice does Spriggy give kids about money? Mario Hasanakos: The Spriggy app has a range of functions that encourage kids to adopt healthy financial behaviours from an early age. For example, parents and kids can set savings goals together, and track their progress. This helps develop the concept of saving, and encourages kids to develop resistance against impulse purchases that they don't necessarily need, such as sweets or toys from the $2 shop. Parents can also lock the Spriggy card , and have full oversight over their kids' spending behaviours, which enables spending habits to be tracked and encourages open conversation about money. Question: Can you share your top tips for saving on back to school costs? Make a list: A list can help you avoid impulse buying and missing out on essentials. Split the list into -needs' and -wants', then order these from most to least important. It's also a great idea to get your kids involved so they understand all the costs and how to make good spending decisions. Do a stationary search: Before you go forking out money for new stationery, get your kids to collect all the stationery in your home, and see what they can use. You can then allow them to fill the gaps with a fixed budget. This helps build some excitement for them about returning to school, while also teaching a valuable budgeting life lesson. Do your research: Get online and check for any back to school deals, or rewards programs you may already be a member of. Back to school is a very competitive time and huge savings can be made on bigger ticket items such as shoes, books and even computers. Talk to other parents: They can often give you advice on where to get the best deals and where to save on items that are unnecessary or that they rarely use.